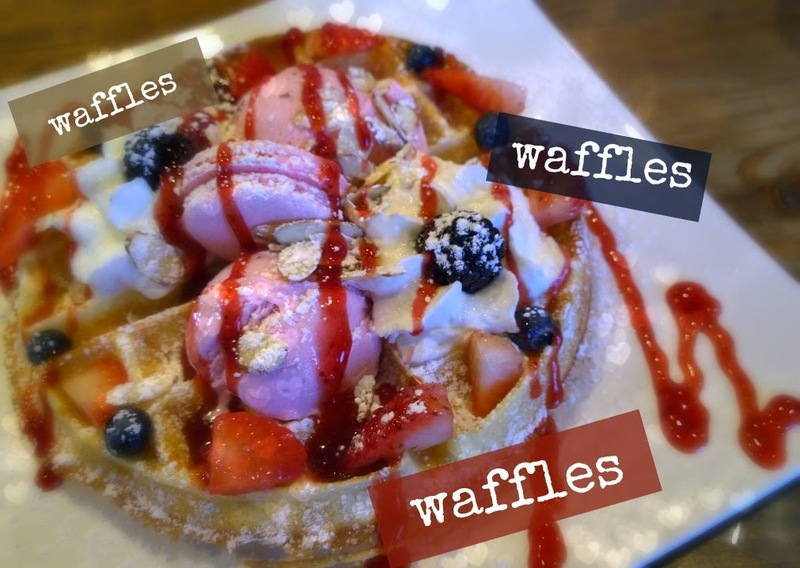 Cafe Joie – Waffles Waffles Waffles! 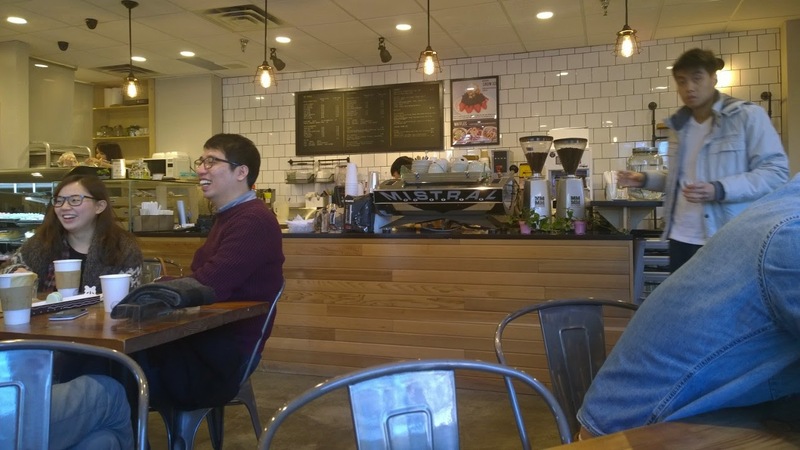 A block away from Metrotown is a quaint little Korean run cafe called Cafe Joie which, just by word of mouth, is spreading throughout Vancouver like wild fire. 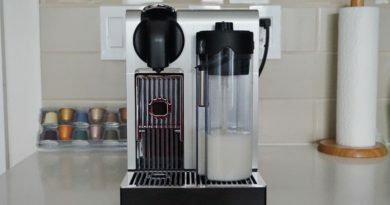 Every few weeks I see pictures of their amazing looking waffles, bear shaped macarons, and tasty looking latte art. It was hard not to check out this place to see what all the fuss is about. 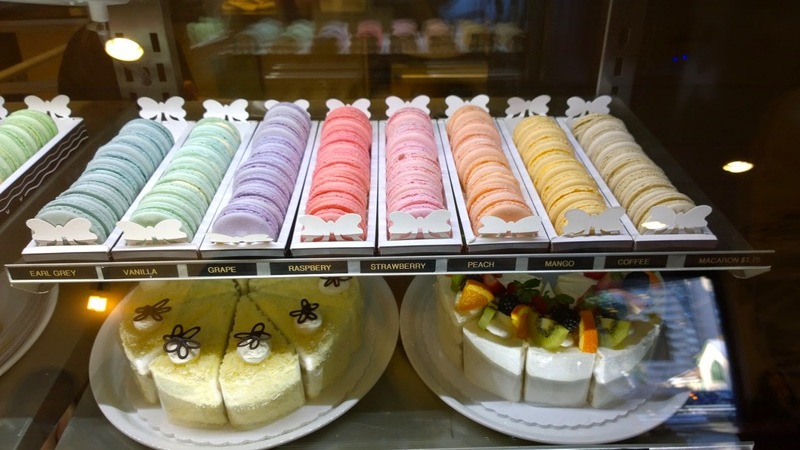 Their display houses a beautiful collection of pastel coloured macarons. When Meta Knight and I went, it was crowded and filled with students, Korean people, and girlfriends chatting over macarons. 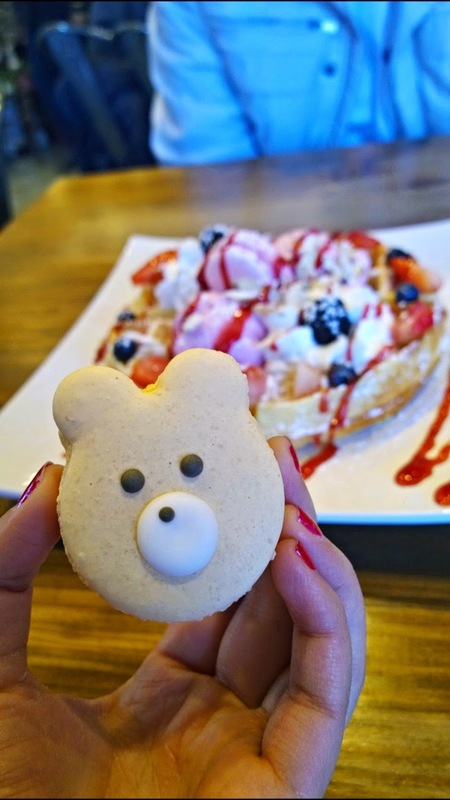 I had to get a Bear Macaron ($2) just because it was too adorable to resist! 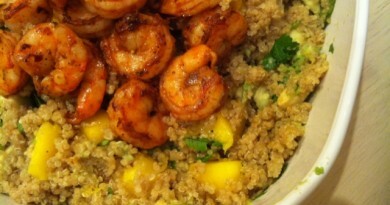 It tasted alright and the shell was done well. However, the mango artificial flavours were just too fake for me. 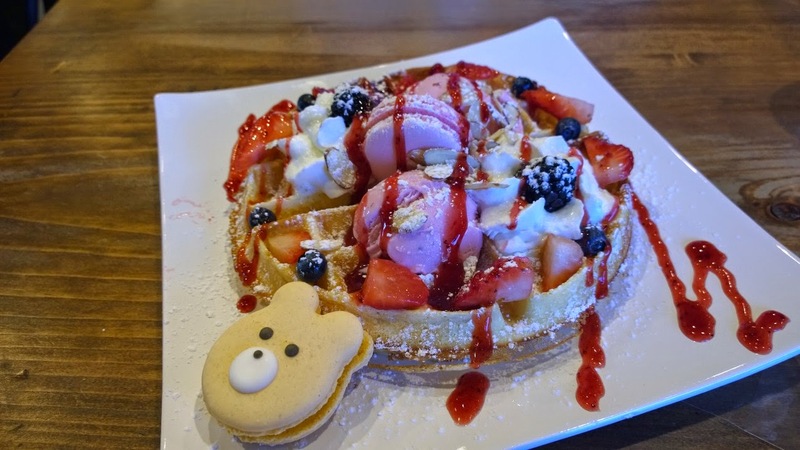 We also shared their Strawberry Waffle (~$10) which comes with a fluffy waffle, cut up strawberries, blackberries, blueberries, whipped cream, strawberry ice-cream, and macaron. 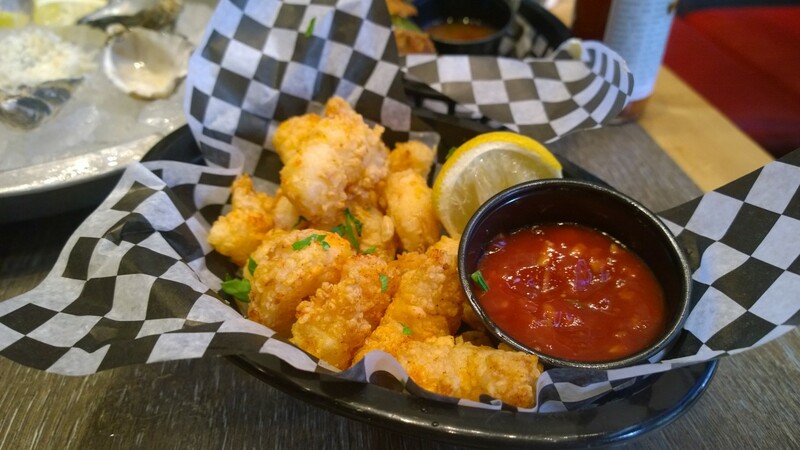 We thoroughly enjoyed it and gobbled it up in seconds! 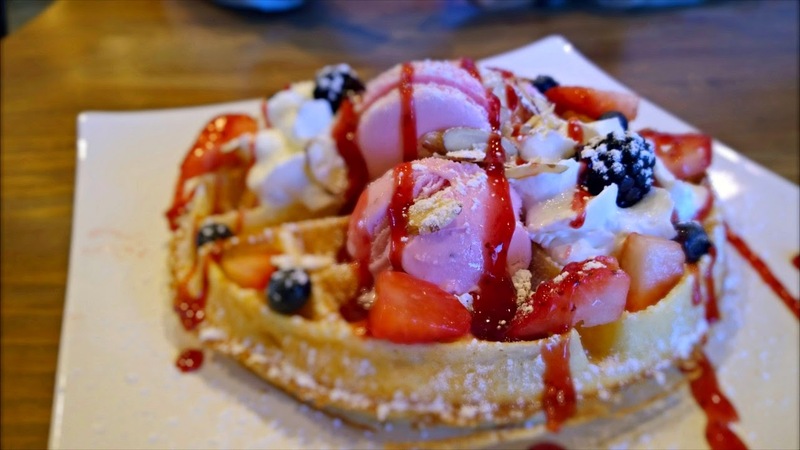 The waffle could have been crisper on the outside, especially since it got soggy quite quickly with the ice-cream and whipped cream on top. But all in all, it was a good waffle for an afternoon snack.